Since it is Valentine's Day I figured I'd write about something sweet. The latest trend in dessert at weddings is cupcakes. And even though I do love cupcakes, I think I'm going to go for a traditional wedding cake with a modern twist. Hope you enjoy my cake inspiration! It's time for Vinnie and I to send out our save the dates. Even though we have plenty of old photos of us to chose from, I think there's something special about having an engagement shoot and using one of those photos for a "save the date." Ideally, this photo shoot would have taken place back in September when he proposed, but time flies, life happens... we got busy, and almost forgot about it. Have an ideas on how we could achieve a fresh look in an overused location, like the beach? Chicago Brides, this one is for you! Bride Style Beauty is a wonderful addition to the Hand-Crafted Inspired Guide. Bride Style Beauty offers a slue of services including bridal hair, make-up and fashion styling. Located in Chicago, they strive to provide competitive pricing while still delivering glamorous red-carpet style looks. And this collective of stylish gals sure know how to make a bride feel beautiful, unique and get them to have a little bit of fun. Their offerings are much more than anything you can find, including their post-wedding styling! I want to try that one! Inspired by the iconic images of The Great Gatsby, 'Gatsby Girls' captures the timeless beauty of that magical era evoking sophisticated glamour, dramatic makeup and sensuous hair with modern, over-the-top accessories to keep the looks fresh and ultra chic. As the essential beauty-fashion-style liaison, we work with celebrated photographers, video producers and exquisite bridal fashion boutiques to adorn engagement and bridal beauty shoots (like Gatsby Girls), along with post-wedding fashion shoots (yes…post-wedding…with us you get to rock your look twice – more on that just ahead). With a focus on beauty, fashion, style and romance, clients can select from a menu of Love and Beauté shoot themes to document engagements, love stories and the ever beloved, post-wedding fashion blow-out. We cringe at the concept of trashing your dress; instead, we want to celebrate your white carpet moment and take things up a notch…or two…with fun styling elements unique to Bride Style Beauty Black. Our shoots serve as fashionable vehicles to make over-the-top proposals and re-live your white carpet moment, especially if you didn’t end up loving your dress or your photos from your wedding day. We work with you to truly capture your unique style in bridal beauty looks that will captivate for a lifetime. Today is finally the day! The Inspired List re-design is now live and there are so many super awesome features that we can't wait to share. First of all, we have changed the name to Inspired Guide. Make sure you take a peak around as we have changed a whole lot more than the name. You can still search by budget and location but now you can do all those things without ever leaving the Engaged & Inspired site! We have updated everything to reflect the true personality of this lovely blog. Sign up for Inspired Guide. One of the most exciting new features is the all new Hand-Picked Section! We have hand-crafted a group of talented vendors who create stunning products and continue to blow us away. This group is picked by yours truly and are people I would and have worked with personally. So check out our wonderful recommendations. I hope you all enjoy this baby of mine that we have both put so so much into. Gorgeous, gorgeous, gorgeous. That is really the only way to describe todays wedding. The bride, the details and that gorgeous sky make for a totally perfect day for a wedding. Jessica Velarde is the photographer of this wedding, and is a very inspiring one. This hollywood glam meets modern wedding has a very classic feel to it with that lace dress. Darling. The Bay Area has a pretty legit wedding scene. With Napa, Carmel, Santa Cruz and SF, there is literally something for everyone. But up until now one thing we didn't have was a vintage rental company. Finding one-of-a-kind pieces for your wedding can be challenging to say the least (believe me, I'm doing it. Luckily my mom is really enjoying the process so has pretty much taken over finding all the vintage finds.) The time and the money are almost not worth finding those perfect pieces for your wedding. Then let's all applaud Erin from Bustle Events for notices this need and working incredibly hard to fill it. Thanks to her we all now have access to those expensive little finds that we LOVE but can't get behind paying for, along with a lot of pieces that you literally can't even find anywhere. Heritage & Craft goes one step further by offering a selection of custom made furniture to fit your need exactly. Basically it is your one stop shop for everything amazing and adorable and unique. I sing praises of my planner Shannon Leahy all the time. Not only is she totally amazing and helping me keep my head straight, she is a totally wonderful designer. This was one of the shoots that sold me on her and I knew that she would be the perfect choice for me. I love how organic this look is. A touch of nature, a touch of lavender and a touch of fruit create the most romantic picnic I have ever seen. Shannon Leahy is a member of The Inspired List. I'm very excited about Bustle Black Label because I can see the amazing possibilities it holds for you brides out there. 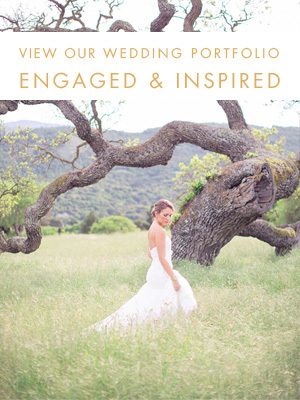 This service is the mixture of 3 very talented Bay Area vendors who have come together to work their magic as a whole for your wedding. Floral Theory is a Bay Area florist that specializes in creating totally unique florals that roll with texture for a wonderful wedding day look. She has done many amazing florals one of which was for Liz's Wedding. Next up is Bustle Events, an event design and paper company. If you are thinking against hiring a designer for your wedding, you should think again because Erin from Bustle creates some amazing designs as well as some unique paper products that will be the icing on the cake for your wedding. Finally is Christine Taylor Photography. I have not had the chance to work with her as I have with the other two but from stalking her site and blog, it is quite clear that she is an incredibly talented photographer who will capture your day just perfectly. You may have caught this photo shoot that was featured on Style Me Pretty a few months back. This was the amazing combination of these three vendors working together. From experience I can say that I would love if my combination of vendors had worked together in the past and had their groove going. Undoubtably it would make the entire look even more amazing because they could work with each other to create something that compliments the other. When you book the services of all three of these vendors, you get to take advantage of discounts on all three! So basically this service saves time and money (two things most brides don't have ample amounts of these days) and you know you are in incredibly wonderful hands. Find out more about Black Label. Both Floral Theory and Bustle Events are listed on The Inspired List! How does everyone like the new version of The Inspired List? So far these changes seem to be loved by all! I've been looking through the site and wanted to give some pointers to all you vendors out there on how to maximize on The Inspired List. 1. If you are interested in uploading a vertical image, consider adding two together (see below) The space is there so you should go ahead and use it! Plus it looks so pretty when there are two images right next to each other. Images are very important, picking the perfect one, and changing it every once in a while gives keeps your listing looking fresh. Just a thought. Descriptions are also incredibly important as well! Make sure to go into "Update your company info" and add a few keen words about yourself. Then don't forget to grab the badge on the main page and add the code to your site to promote your listing. It is even designed to have YOUR photo on it. Amazing. Plus you are listed in 4 cities! And right now we are having a massive deal. 1 year for only $180! That's 3 months of advertising for Free! More here. We launched the first version while having major ideas of ways to make it SO. MUCH. BETTER. While our original layout worked just fine, we wanted to create a layout that focused on each vendor one at a time. And so, we launch version 2. (While still having SO many ideas to make it better and better in the coming months. Stay tuned for those.) So here we go with the little makeover to make the site ever better. We now have over 400 vendors listed in The Inspired List and more signing up every single day. The new design offers a cleaner view of photos, descriptions and relevant information for brides. Without even opening a new page brides can see all the photos, read a tidbit, find out where they are located and their typical budget. So many more changes are to come, so stay tuned for some pretty amazing changes, partnerships, and new features! We are working as hard as possible to get this little site of ours up and running and continuously making it better and better as the days go by. Head over the theinspiredlist.com to check out the new and improved Inspired List.